expiration date for books on sale? 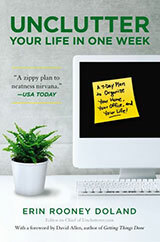 Home › Forums › Living Spaces › Your Home Office › expiration date for books on sale? This topic contains 5 replies, has 3 voices, and was last updated by wintersmom 9 years, 3 months ago. I’ve listed a whole bunch of books on half.com, but now I’m wondering how long to keep them listed before giving up and tossing them into the donation bin. Any thoughts? The unsold books are currently living on my desk in my home office. The maximum I’d list would be for one month. Then I’d swap or donate. What is your seller name on half.com so other forum members can look up the books you have listed? @nellieb – Thanks for the bookins link! It looks great. I’m definitely going to hit Craigslist and eBay next, as I do have many books that should be sold as a single lot. I checked my half.com inventory and my oldest listings have been sitting around since early November. And one is a thick hardcover that can only fetch $3! Half.com reimburses shipping costs, but I don’t think that one is worth selling. I should set a minimum sale price, in addition to having an expiration date. My seller name is getkraken. I still sell books on eBay but not as many as I used to (rosehilllady is my seller name). I thought about it a few weeks ago. Most of the books I sell have an average price of $6-8. By the time I do the listing, provide a padded envelope for shipping, drive to the post office, pay the listing, selling and paypal fees, I’d be better off donating or swapping the book! If your book on half.com has been there since November and is worth $3, I would remove the listing and donate the book. By the way, check out my personal blog at http://drawerbydrawer.wordpress.com/ because I am documenting how I am eliminating 50% of my items this year. I just packed another book to be donated tomorrow. Also, Powell’s, a bookstore in Portland, allows you to sell books directly to them. You type in the ISBNs and they give you an offer. They are picky about what they take and don’t pay much, but it can be a good way to get rid of the books and get a bit of cash without as much hassle. You get a prepaid shipping label too. @nellieb – Great blog! 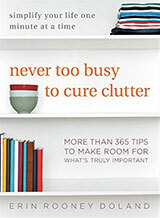 It’s somehow encouraging to know that even a professional organizer has some decluttering to do. @MsDasha – Thanks for the tip about Powell’s! I’ll have to check them out. And you’re right, I’d rather have my desk space back than wait months trying to sell a $3 book.